Ridgefield School District is celebrating Youth Arts Month in a big way this year, partnering with local businesses, organizations, the city of Ridgefield and local artists to offer an abundance of opportunities for children and the Ridgefield community to discover their creative side through art and music throughout the entire month of March. 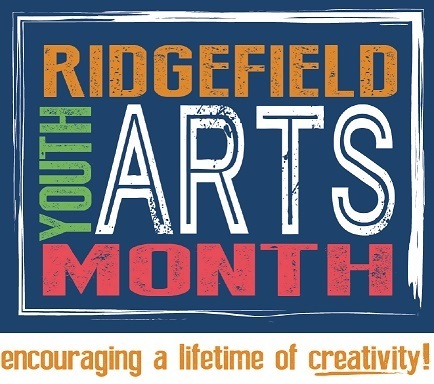 The district established Ridgefield Youth Arts Month to support the district’s commitment in delivering personalized learning experiences for each student through appreciation of the arts as well as in increasing support of the arts throughout the community. To celebrate Youth Arts Month, Ridgefield Community Education is offering a variety of free arts and crafts classes for the community and for kids of all ages. The classes include watercolor painting, ceramics, and block carving and printing, to name a few. Also planned are events in creative expression, providing opportunities for students to appreciate and learn music, dance, photography and storytelling. Through musical concerts, plays and art exhibits scheduled throughout the month of March, the district will showcase the artistic, musical and performing talents of their students. “We are excited to offer our students a variety of opportunities to explore their creative side. Whether it be hand crafts, dancing or theatre, Ridgefield youth are sure to find a way to express themselves through art,” said Terri Cochran, the district’s community education director. For more information, including a complete schedule of Ridgefield Youth Arts Month events, visit www.ridgefieldyoutharts.com .